Some of the best ideas come not from one new idea, but from several existing things coming together into something new. Such is the case with today's ornament. I just didn't realize that until after I made it. It's a combination of those two! The idea of using these clips feels like pure genius, so I've been trying them out with several kinds of ornaments, and you'll see another one here next week...and the week after that. They're so versatile and easy to use! This pack came from Ikea, near the fabric and drapes. They are really affordable there. You can also find them at places like JoAnn, but they're a bit more pricey. 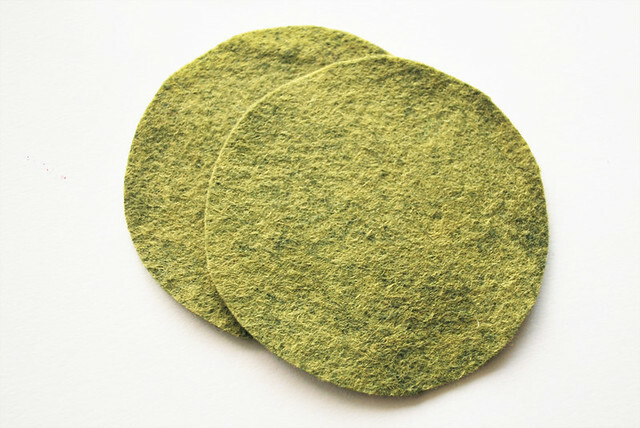 Cut two circles from felt. I used a glass for a template. Add a bit of embroidery. 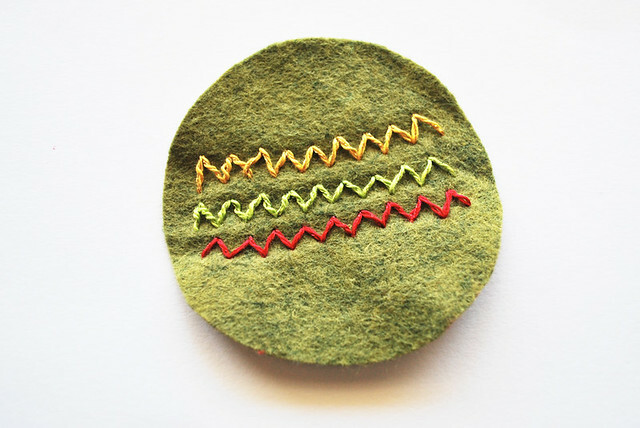 Mine is just some zig zags (hence the name of the ornament), but you could stitch just about anything on there! 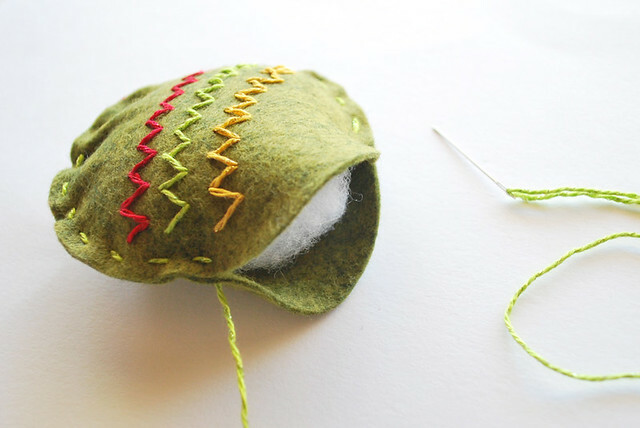 Stitch around the edge with a running stitch, leaving a spot to stuff the ornament. Add some stuffing...just enough to make the ornament slightly plump. 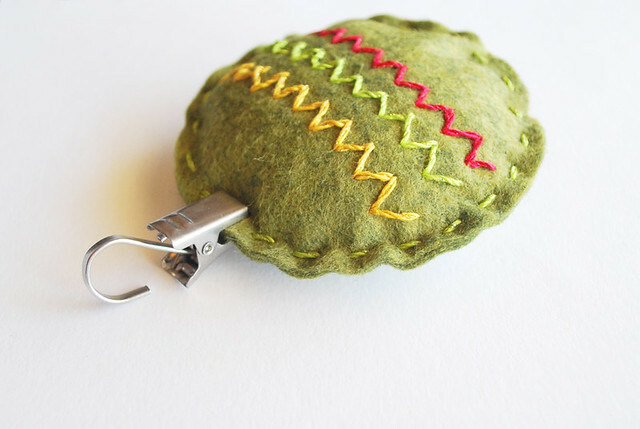 Sew it closed. Hang your ornament! Doesn't the metal clip make a perfect substitute for the traditional metal piece on a glass ball ornament? Now, imagine clipping these onto all kinds of soft little guys to make ornaments! 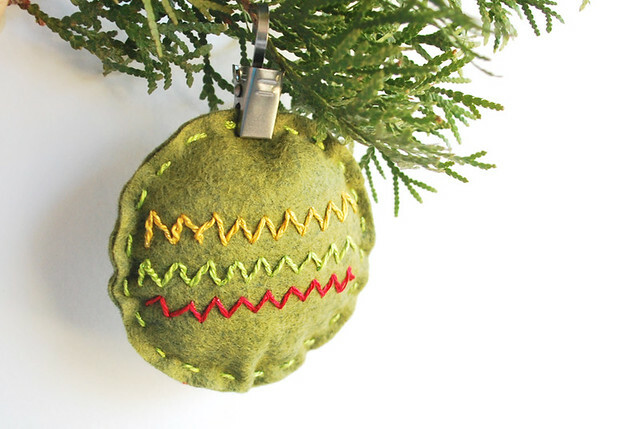 If you make one of these, or any ornament this Christmas season, be sure to link up! How simple and cute! I so want to go to the coffee shop tomorrow and sit there with some hot coffee and make 12 of these. I'm loving these posts. I love seeing what's next! cute idea!!! 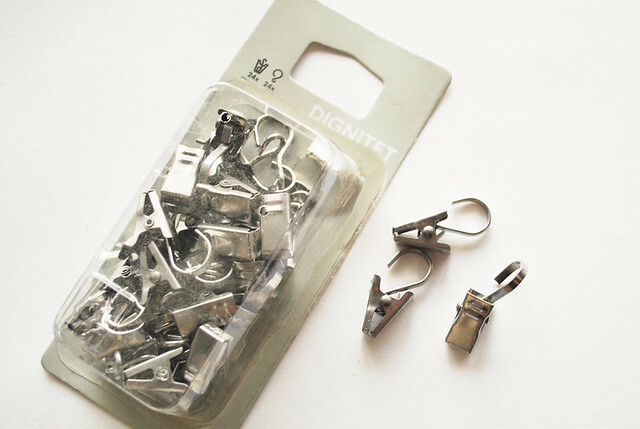 I have a handful of those clips in my junk drawer... guess what is gonna be made this weekend!!! I just wanted to let you know that i love your blog. You work really hard on it and it shows. These ideas are gret and PLEASE keep them coming!! Love it! Great idea and so easy & cute! Ummm...how awesome is the curtain slip on top?! 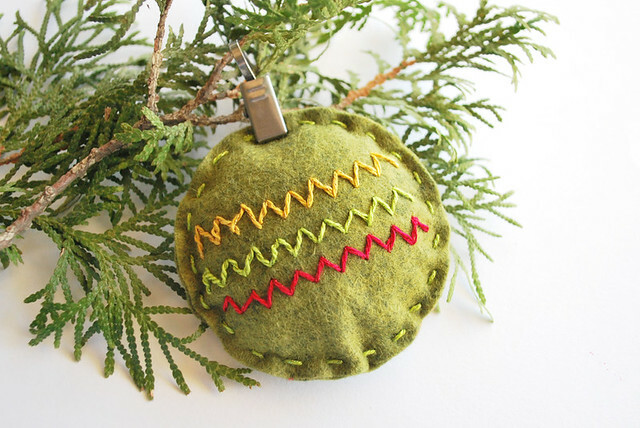 :) Thanks for the link-up, Mollie - your ornament is super-cute!